To heal his wounds, to follow the old light. To rekindle the fire that bound it together. Its vision into yet unborn hopes. 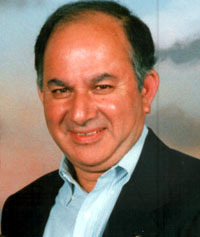 *Maharaj Kaul was born in Kashmir, India. His school education took place in New Delhi and Srinagar. College education he undertook at Srinagar and professional colleges were Banaras Hindu University and Polytechnic Institute Of New York, in the field of electrical engineering. He lives with his wife, Mohini, in Suffern, New York.. The truth that we hesitate to confront. We are protecting our unique culture like a current going against the flow.